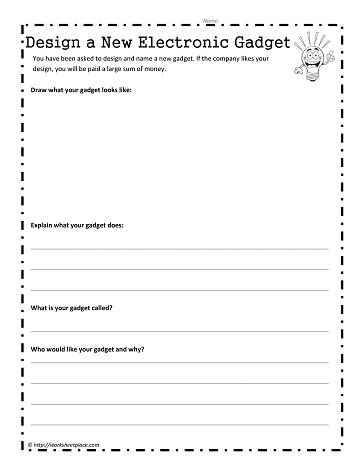 Here is a worksheet to help you design a new electronic gadget. Get creative and use your imagination. Great worksheet for media literacy.